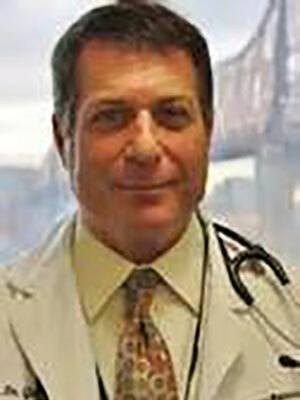 Dr. Richard Goldstein is chief medical officer at The Animal Medical Center in New York City. He completed his DVM and internship at the Koret School of Veterinary Medicine, Hebrew University of Jerusalem, Israel, and then finished a residency in small animal internal medicine at the University of California, Davis. He served as associate professor of small animal medicine at Cornell University College of Veterinary Medicine before joining The Animal Medical Center. Dr. Goldstein currently serves on the editorial review board of multiple veterinary journals and is the recipient of several prestigious awards. A respected researcher, author, lecturer, and teacher, he has published more than 60 research papers and textbook chapters. He is internationally recognized for his expertise in infectious diseases in dogs and cats, especially those that affect kidneys. 1. Discover the most up-to-date information about the pathogenesis, diagnosis, treatment, and prevention of leptospirosis. 2. Explore duration of immunity questions and practical vaccine protocols. 3. Debunk common misconceptions about leptospirosis.